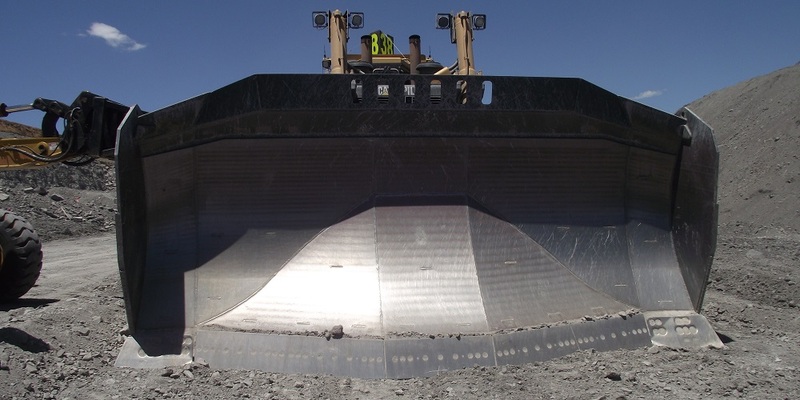 Australian designed high production dozer blade, the innovative new loading design of the Spade Blade™ provides extensive productivity and efficiency benefits to an operation. Spade Blade™ has an increased capacity in comparison to conventional blades. This design reduces load time, fuel consumption and wear and tear on drive components. Spade Blade™ can penetrate very hard material without ripping, producing opportunities for reduced blasting onsite. Independent testing by a major contract mining company demonstrated production gains of up to 30%. The centre section of the Spade Blade™ design penetrates the ground and the dirt flows away from the centre leaving the forward cutting edge free to dig and load the blade to capacity. This unique design dramatically reduces the amount of ripping required, improving wear resistance and increasing fuel efficiency. Performance assessment conducted in trials by an independent engineering company showed Spade Blade™ blade performed up to 30% better than the U-Blade.